I couldn't finish this series on saving money in the laundry room without moving from the washer to the dryer. That's what you do with the clothes you're cleaning, right? In the last 6 months I have not bought a single box of dryer sheets; that was an expense that did not excite me. I found something better and cheaper! I liked the softness and smell they gave the laundry, but did not like spending money for it. I preferred the idea of a one-time expense verses an "over and over" expense. 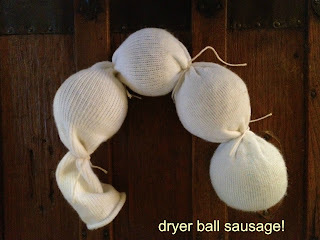 I had seen dryer balls in the store from time to time and wondered if they worked. I finally took the plunge and bought a package of two, paying about $9. They were advertised to cut drying time, soften my laundry, and cut down on wrinkles. I do believe that they made the drying time shorter, especially on loads of towels which seem to take forever to dry. I also liked being able to use them on towels since dryer sheets keep towels from being very absorbent (due to the filmy coating they leave behind). This was not a problem with the dryer balls: no filminess! Unfortunately, they did not last long because my labrador retriever, Jackson, "retrieved" them from the pile of laundry my kids had been too lazy to deal with and put on the couch (do anyone else's teens do this?!). He tore them into tiny little pieces before I realized he had them. 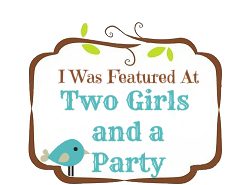 I was out 9 bucks, my dryer balls, my shorter drying time, and my softer clothes. It was a major bummer and I did not want to go back out and spend another $9 so soon. I turned to the internet, wondering if there was a way to make them myself. What a silly thing to wonder; of course there was! Not only that, they sounded much better than the bought ones. Many industrious women have make their own dryer balls with wool yarn, so I printed a 40% off coupon from Michael's and headed out the door. I had to really pay attention to the yarn that was displayed - most of the yarn they carry labeled wool had some acrylic in it. This makes it machine washable and, ironically enough, you need the kind that is not machine washable. I'll explain why in a minute, but be sure to read the label and get only the pure stuff. With my coupon, I paid $7.48 for my 8 oz. of pure wool yarn. 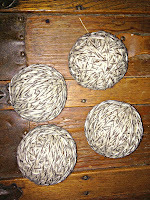 Once home, I began winding the yarn into a ball. As you can see in the picture, I first wound the yarn around two of my fingers - about 20 times - then slipped it off. Holding it, I began to wind the yarn around this foundation. Then I continued to wind, turning the foundation as I went. Soon it began to resemble a ball. I cut the end of the yarn and tucked it inside the ball. Then I made another one. And another one. And another one. By the time I was finished, I had 4 yarn balls, using all 8 oz. of yarn. The instructions I found on the internet said to put the yarn balls inside of a pair of pantyhose or an old sock and tie them off individually. I went to the basket that holds our unmatched, solo socks and pulled out a nice, long soccer sock that had lost its buddy. 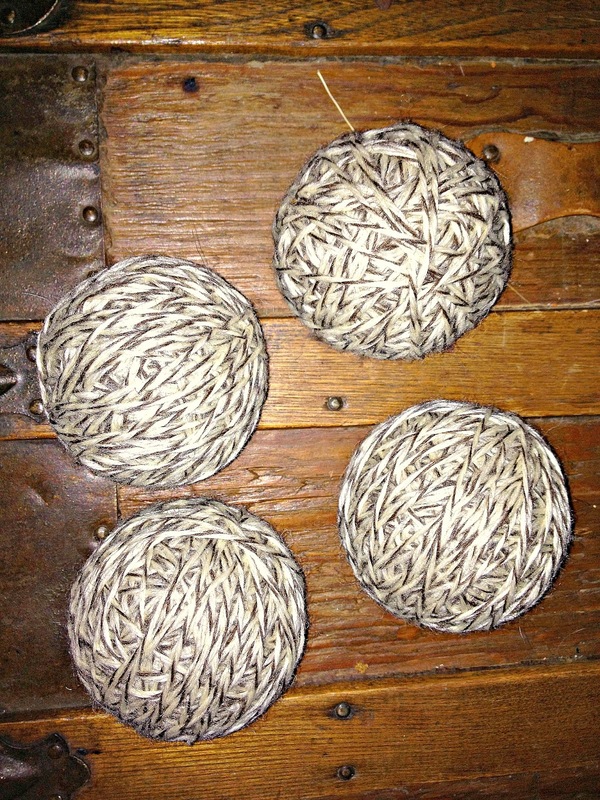 I put the 4 yarn balls in and tied off each one with some all-purpose string. One sausage you will not want to eat. Then I tossed the whole thing into the washer and dryer with a load of laundry in order to felt it. Felting is a process that, by using hot-then-cold water, along with the heat of a dryer, shrinks the wool and keeps it from unraveling. This is why you buy the kind of wool yarn that is not machine washable; it will not felt. You do not have to put it in with a load of laundry, but why waste the water and electricity? I actually did this twice just to make sure it was not ever going to come undone in the dryer. I don't know that you have to do this, but it made me feel better. That is it. For less than $8 I have 4 dryer balls that keep my laundry soft, less wrinkled, drying faster, and saving me money. When I want to make my laundry smell extra good, I put a few drops of essential oil on them before tossing them in the dryer. These can be used for years and are supposed to be allergy-free, even if you have a wool allergy. What's not to love about them? Need to get rid of static from the dryer? Here is the solution! It makes you wonder what the dryer sheets and fabric softeners are leaving on your clothes (and then your skin), doesn't it?! Hi Patty. Just saw your post over on Hometalk. What a great idea! I need to rummage through my daughter's yarn stash to see if she just might have the type of yarn that is needed to make these. BTW - I'm located in Greensboro too. Would love to connect with you! Thanks Evey. And thanks for following! I have been using these for several months now and have not had a problem with static. The true test will be this winter, as it has not yet really gotten cold here in NC yet. 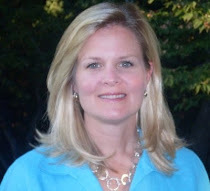 Lynzee, I did a little research on "natural" anti-static treatments for the wash. It seems you can add a 1/2 cup of white vinegar to the rinse cycle (or fill the fabric softener dispenser if you have one) to get rid of static. Maybe your mom can try this. Hi Patty, I had no idea you could make dryer balls out of wool! When we got our new washer/dryer set a few years ago, the manual said not to use dryer sheets, so I switched to fabric softener. But then we noticed after a while that our towels were no longer absorbent, so I switched over to dryer balls. I've been wondering how long they would last, so it's nice to know there's an alternative. I'm pinning this so I can make some of these when it's time to get some new ones. Thanks for the tip! also, you can soak the felted wool balls in a fabric softener and then air dry (will take many days to dry). Now they are scented!! Hey Anonymous! I am sure they smell great, but I don't like to use fabric softener, however because of the chemicals, and also because it keeps your towels from being absorbant. It is easy to add a few drops of natural oil to the wool balls, though, and make your clothes smell so good! Try it and see what you think. So glad you visited from Hometalk. Come back again! Hi everyone. I keep clicking the links to continue reading and get instructions on how to make them but to no avail. I just keep getting cycled back to the first page of then post.... Can somebody explain what I do with the wool and the safety pins please!?? I'm going to try this! Thanks for the wonderful tut! Oknana, I am not sure what links you are clicking to see the instructions, as they are all in the post above. I am wondering if you have Ad Block enabled in your browser? Since there are ads on the side of the page, maybe it is messing it up? Sometimes that happens to me on certain pages and I have to go to the browser settings and temporarily turn it off (it is an extension). Hope that helps!